BRYAN EATON/Staff photo. 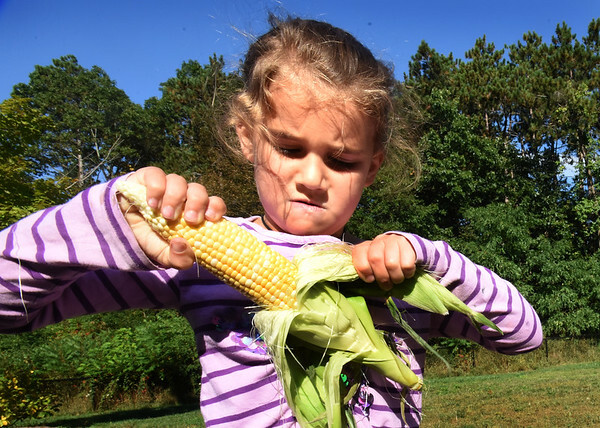 With a look of determination, Campbell Seymour, 5, gets close to pulling the husk off this ear of corn. The youngsters were instructed to get as much of the silk off as they could.